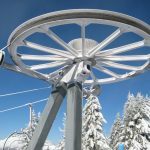 We are absolutely delighted to once again be offering catered holidays to this luxury ski chalet in Les Gets. Chalet Elise des Alpes combines Savoyarde charm and elegance with beautifully constructed architectural space, and decadent interior design. From the covered front door with pretty mail box and neatly stacked wood piles, to the immense living/dining area that has been so well thought out, you can tell that this chalet from its very conception has been designed with luxury in mind… and with love. 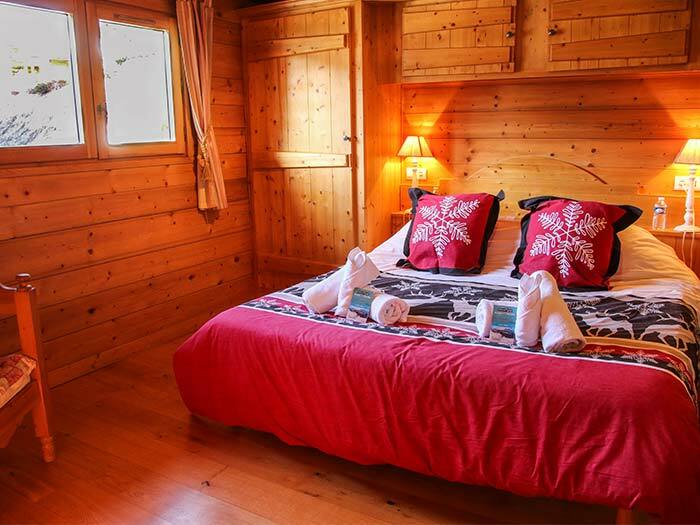 We believe that chalet Elise des Alpes is one of Les Gets’ finest ski chalets, combining a great location with quality and luxury. 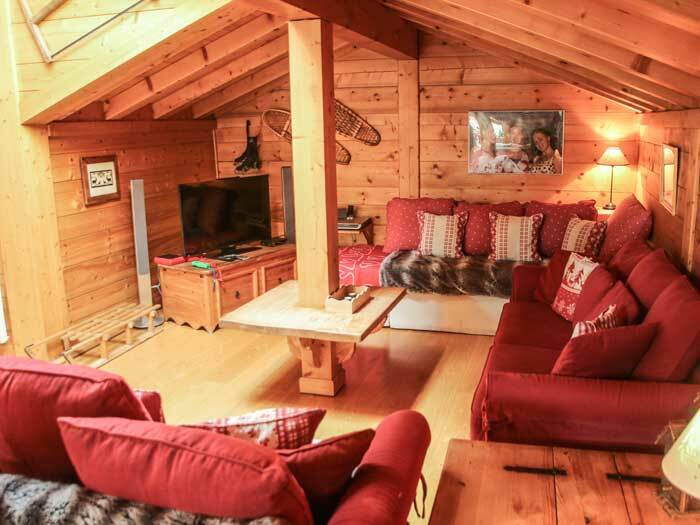 As such, we offer a premium catered service to this chalet – more details below. 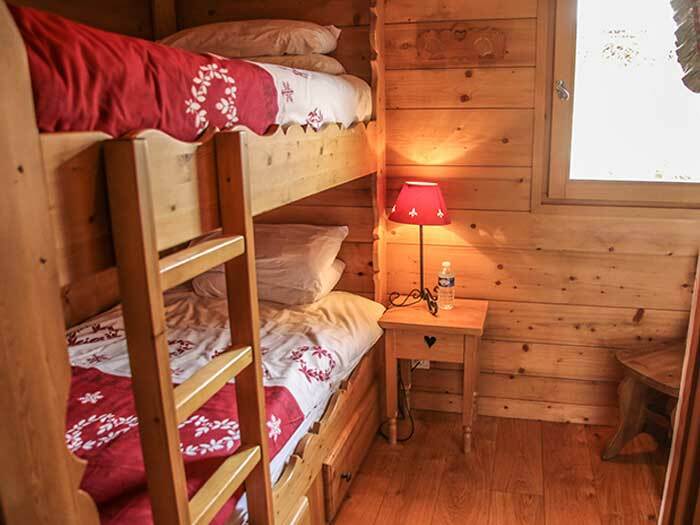 Sleeps 12 in 5 ensuite bedrooms. 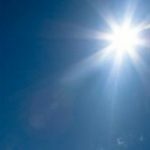 Sauna – bathrobe and Molton Brown goodies provided. An amazing living space with open fire and ample seating in 2 separate lounge areas. Large flatscreen TV with Netflix, Nintendo Wii, DVDs and Wifi internet. 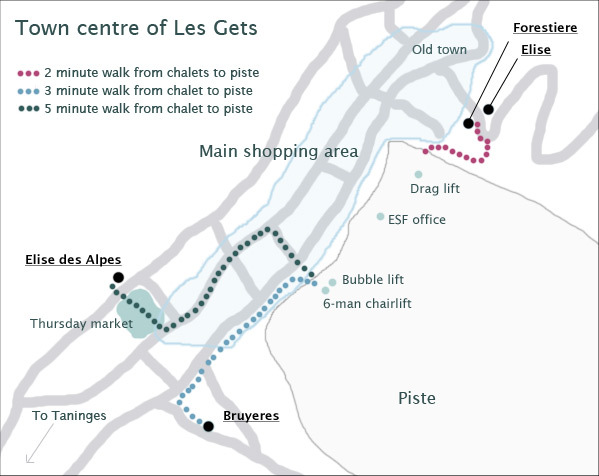 Less than a 5 minute walk from the main Les Gets ski lift. Fantastic holiday from beginning to end - highly recommend Elise des Alpes and Pure Mountain. 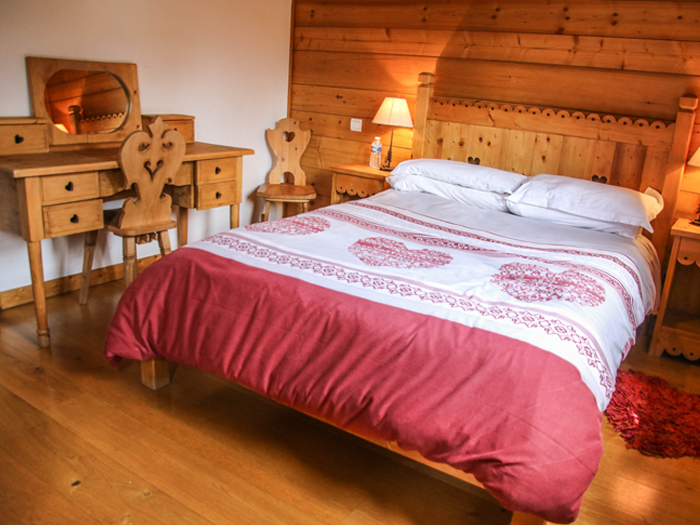 A truly fantastic week in this beautiful and cosy chalet...Loved it all – booked already for 2016! See you next year!! Definition of luxury: Sumptuous or extremely comfortable living or surroundings. 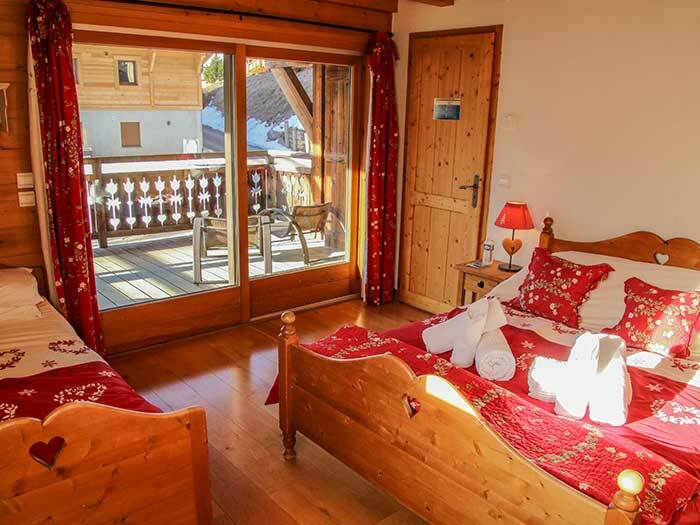 As always Pure Mountain and chalet Elise des Alpes define luxury perfectly. 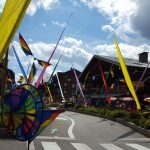 The food in the chalet was exceptional and far surpassed any food we have had with other chalet companies. The best skiing holiday we have ever had. Thank you so much. Food super and everything we could wish for so willingly supplied. Superb staff, they couldn't do enough for you! 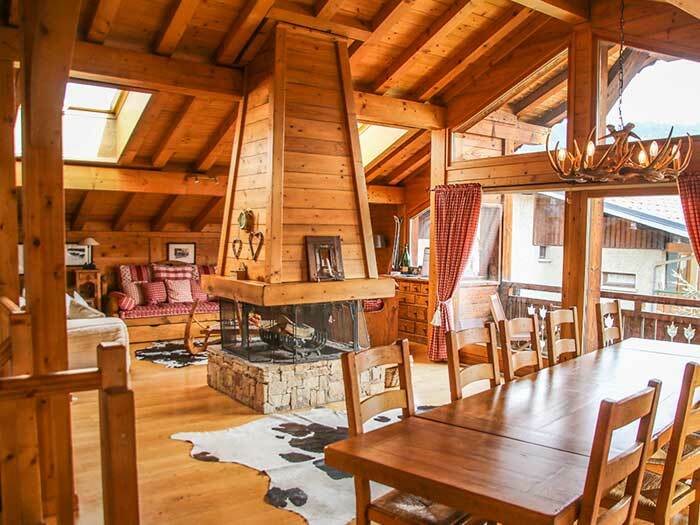 The elevated and open-plan living/ dining room is incredibly spacious, and feels uncrowded even when the chalet’s full. There are 2 separate lounge areas and both have ample seating on comfortable sofas. One has a flat screen TV with full Sky package and surround sound speakers, the other faces the central suspended fireplace and is perfect for sitting and reading or chatting. On the other side of the fireplace is the dining table and access to the large balcony through 2 sets of sliding doors. 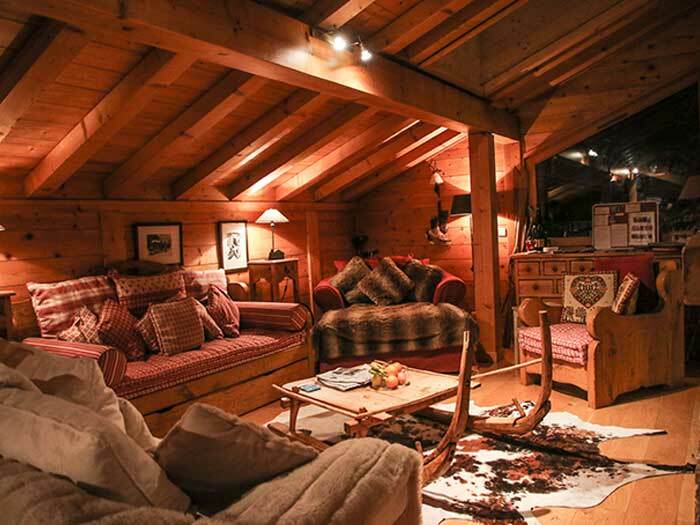 Airy and light yet cosy and warm, the living space in chalet Elise des Alpes is a real masterpiece of design. 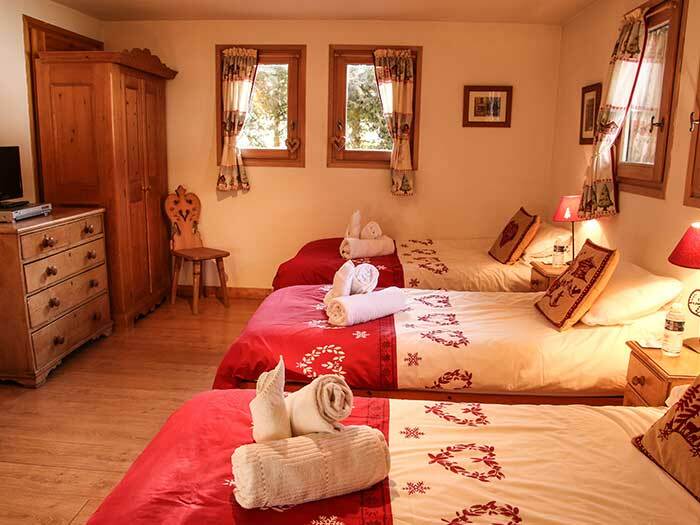 Room 1: Triple (3 single beds) with ensuite shower, next to the sauna. Room 2 Master Bedroom: Double bed with ensuite bath. TV/DVD player and Netflix. Direct access to a very large shared balcony. Room 3: Triple (double bed and single bed). Ensuite with shower. TV/DVD player. Direct access to a very large shared balcony. Room 4: Double with ensuite bath. TV/DVD player. Direct access to a very large shared balcony. Room 5: Bunk beds with ensuite shower. Champagne reception upon arrival. Made to order Full English breakfast, plus cereals, pastries and other Continental options. Homemade cake for afternoon tea. 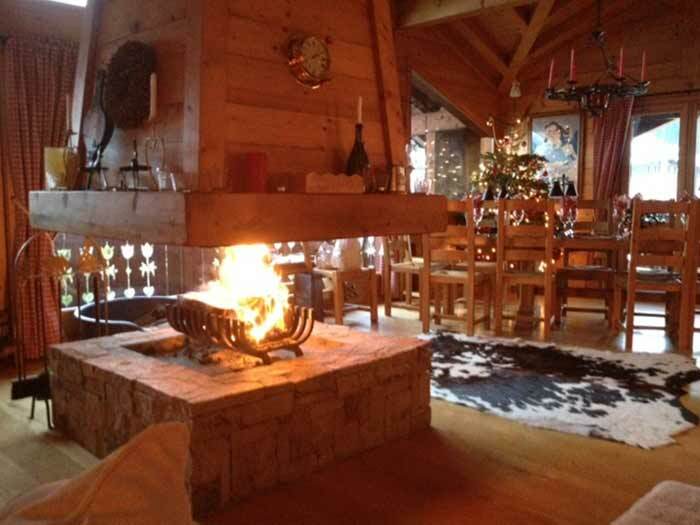 Dedicated chalet chef to prepare a 4-course feast, preceded by canapés. A selection of good quality wines with the meal, and complimentary beer and soft drinks.